Baby formula protein source – Cow’s Milk? Soy? Casein? Whey? Jump to the “Dr. Young, I’m the mother of a newborn, not your grad-student!” summary here. Protein Source! 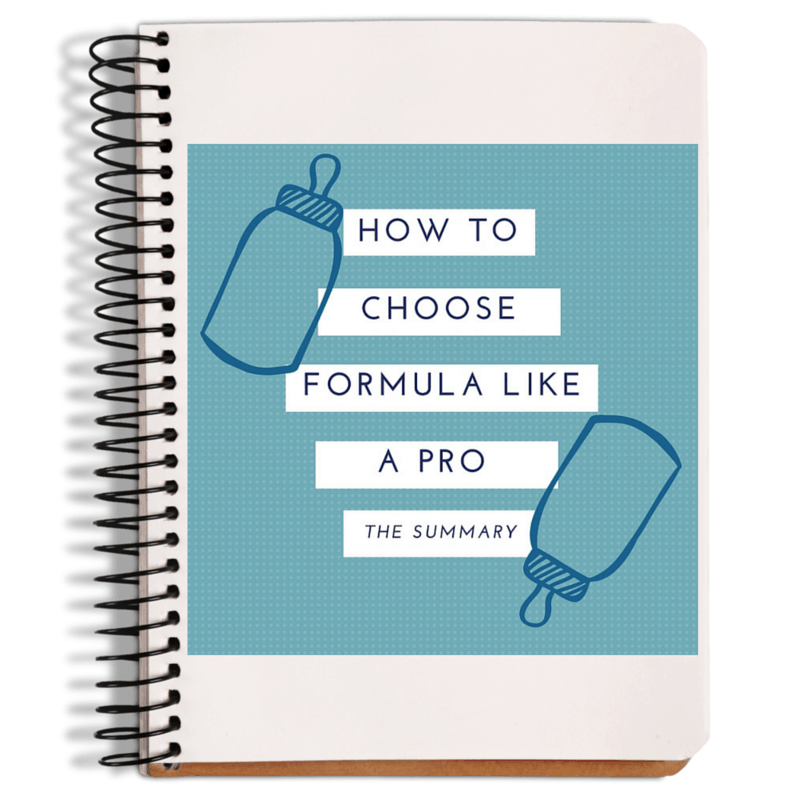 This is one of the biggest first decisions you make when deciding what formula to feed your baby. This is where you can find a lot of the variation between baby formula brands and types. The standard (and default) source of protein in infant formula comes from cow’s milk. I am going to explain the different variations of cow’s milk protein that are available before I get into the alternative protein source in baby formula – which is soy. There are 2 main types of cow’s milk protein that will end up in a cow’s-milk-based formula. These are whey proteins and casein proteins. Whey and casein are actually not two single proteins. They each represent a category of different types of proteins (or chains of amino acids linked together). What distinguishes the two classes of proteins are how they behave when exposed to acid (like stomach acid). Whey proteins are those that remain in liquid form when milk coagulates (curdles). This is the portion that is discarded when making cheese (remember Little Miss Muffet, famous for eating her curds and whey?). Because whey proteins remain “liquid” in the stomach, they empty the stomach into the intestines faster than the casein proteins (Meyer, 2015). Whey proteins are also less likely to be the trigger for an allergy. Casein proteins are the ones that curdle, so they take longer to digest. 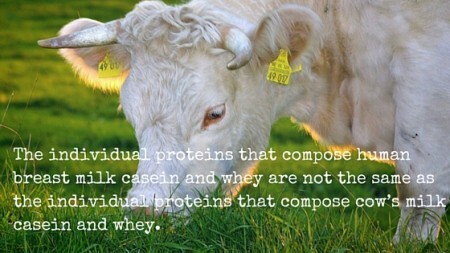 Casein proteins include the culprit proteins that are responsible for the majority of milk allergies (Wal, 2002). Casein proteins are considered more “reactive” meaning, they are more likely to trigger allergies or general indigestion than whey proteins. 1) The individual proteins that compose human milk whey are not the same as the individual proteins that compose cow’s milk whey. This holds true for human milk casein vs cow’s milk casein. No one ever mentions this! 2) Cow’s milk protein is ~20% whey and 80% casein while human breast milk is ~60% whey and 40% casein. It is important to understand the above differences together! As a parent, you must choose which you think is best, now that you understand the science. I recommend that you look for a baby formula with that has at least more whey than casein. That way, the protein will be digested similarly to breast milk protein. Many infant formula brands brag that their casein:whey ratio is more similar to the ratio in breast milk, but the formula labels will not break down the percentage of whey vs. casein for you. That would be too convenient! You have to infer it based on the order of ingredients. All ingredients are listed in order of amount. In other words, the first ingredient takes up the most volume in the baby formula recipe. The second is the second-largest by volume, and so on. This is a really important concept to grasp! So for example, if the label just reads “cow’s milk protein”, you need to know that cow’s milk protein has a lot more casein than whey. Good thing you’re now an expert! If the label reads “cow’s milk protein” and then “whey protein” further down on the list of ingredients, then you know they have added additional whey. All you can infer from this – is that there is more cow’s milk protein (which is 80% casein and 20% whey) than there is additional whey added. However, the additional whey will help push the protein ratio closer to the 40% casein and 60% whey found in breast milk. If you are choosing a cow’s milk protein based formula, then I suggest you look for this additional whey further down in the ingredients list. Other infant formula brands brag that they use 100% whey protein. While breast milk does have 40% casein, 100% whey baby formulas will empty the stomach faster than baby formulas that contain cow’s milk casein, bringing it closer to the clearance rate of breast milk. So which is better? A casein: whey ratio that is like breast milk or a stomach-emptying rate that is like breast milk??? Great question! I don’t have a strong opinion here. As the expert on your own baby, you decide which to start with. A baby formula made with 100% whey may be better for a baby prone to acid reflux (as discussed in the article about specialty formulas). Similarly, because casein proteins are generally more reactive, a 100% whey-based baby formula may be better if you have a family history of milk or food allergies. The alternative source to any cow’s milk-based baby formula is a soy-based formula. The protein in these infant formulas will appear on the ingredients list (as the first or second ingredient) as “soy protein isolate”. I am not a huge fan of soy-based baby formulas as a first choice. There are many reasons for this, but the first is the protein. Soy is, by definition, a “complete” protein. This means that it contains all 9 essential amino acids (the building blocks of protein) that humans need. However, soy protein does not contain an adequate amount of the amino acid, methionine. This means additional methionine must be added to soy formula to meet babies’ needs. You’ll find “L-methionine” on the list of ingredients only in soy formulas. Cow’s milk protein is an excellent source of all 9 amino acids and does not require supplementation. I am also not a huge fan of the carbohydrate sources added to soy formulas (since all US formulas are lactose-free), but I’ll talk about that more in another article. Another potential concern about soy-based baby formula is the phytoestrogen content of soy. 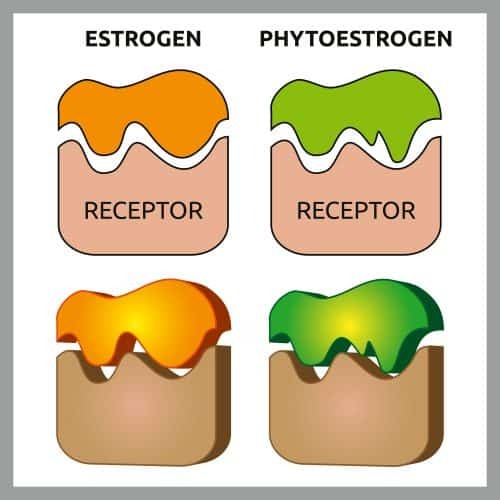 Phytoestrogens are compounds that can act like estrogen in the human body by binding to estrogen receptors. You can imagine that this would be an undesirable thing to occur in rapidly developing infants (either boys or girls!). To address this concern, a large study was conducted in 248 adults who were fed soy-based baby formula as infants (comparing them to 563 adults who were fed cow’s milk-based baby formula) to determine if the soy formula caused any problems or differences in sexual and pubertal development. Basically, the researchers found no major differences between the groups (Strom, 2001). However, they did find that women who drank soy formula as infants had longer periods (Strom, 2001). However, as a researcher myself, I am not 100% convinced. More research is needed to study additional health outcomes. Pubertal characteristics are the natural first place to look for differences when we’re talking about phytoestrogen exposure, and I would have done the same thing. However, does this early phytoestrogen exposure affect later risk of cancer (especially breast, uterine and ovarian), cardiovascular disease, metabolic syndrome, etc? Researchers have started to do such work. Since that first study, other studies have shown that soy formula infants have slightly different hormonal profiles (Fang, 2017), and longer-term studies have shown that women who drank soy formula as babies do have some little health differences, like earlier breast bud development (Zung, 2008) and heavier flow and bleeding while on their periods (Upson, 2016). These differences are hardly earth-shattering, so they don’t affect universal recommendations at all, but they do suggest that these phytoestrogens are having some small impact – we just don’t fully understand it yet. Lastly (and not nearly as scientific), soy formula is an unnatural food source for mammalian infants. Humans are mammals. This means they are designed to consume milk after birth. Cows’ milk is hardly breast milk, but at least it serves the same purpose for another species. Soy is a plant that cannot solely sustain life and needs to be extensively processed in order to yield the protein that we put into baby formula. This is one of the main reasons I prefer and recommend cows’ milk-based over soy-based formula… at least to start with. Don’t get me wrong, soy formula is life-saving for many babies and I’m so glad we have the option available to us! If your baby is thriving on soy…. wonderful!! Stick with it, and don’t doubt yourself. This article is intended to educate parents with healthy babies who are just starting off with some good old-fashioned nerd juice. Next, I’ll walk you through what the heck a hydrolyzed protein is, and why I am so enthusiastic about it for newborn tummies. Milk protein is made of two groups of protein: Casein and Whey. Whey empties the stomach faster, and casein is more “reactive”. The individual proteins that compose human breast milk casein and whey are not the same as the individual proteins that compose cow’s milk casein and whey. Cow’s milk protein is ~20% whey and 80% casein while human milk is ~60% whey and 40% casein. I recommend a baby formula that has additional whey added or is 100% whey to more closely resemble breast milk. 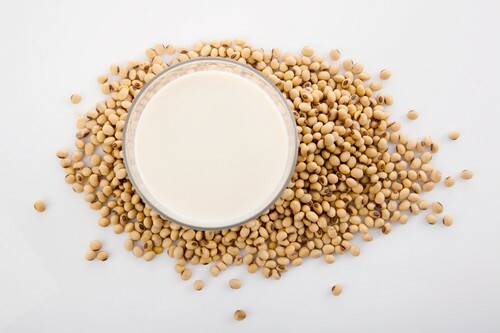 Soy protein has been deemed safe, but I do not recommend it as a starting protein source in formula due to the extensive modification and supplementation necessary to make this protein able to sustain life.